We began the Kepler Trail in weak sunshine in early Nov 2017. The path leads through a beautiful beech forest on the shore of Lake Te Anau for 5-6km until you reach a sandfly ridden Brod Bay - it is lovely, but the sandflies ensured it was a short rest stop! The track heads away from the lake and steadily climbs as you seem to endure countless switchbacks and the trees thin out. This was challenging, but we eventually reached some limestone cliffs that were a perfect place to drop our packs and take a break. A short climb (more switchbacks and stairs) and we were above the tree line and rewarded with spectacular views over the south fiord of Lake Te Anau and Mount Lyall. 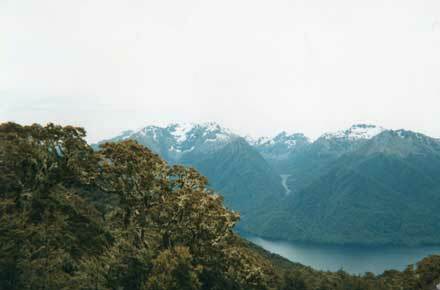 A short walk and you are at Luxmore Hut where there are incredible views from the common area. The weather looked a little threatening when we woke the next morning and as we climbed a ridge below Mount Luxmore we donned our wet weather gear as the first drops of rain fell. It was a difficult day, with rain and some strong winds, but the intermittent views as we followed the track along a narrow ridge made it stunning. As we dropped into the tree line again, the switchbacks lead us down to the Iris Burn river which we followed until the Iris Burn Hut was a welcome sight. There was mainly sunshine the next day as the track continued to follow the river - the Big Slip was a reminder of the force of nature! It is an easy walk and as the river neared Lake Manapouri the track turned into the beech forest until we reached the shore of the lake and followed it until we saw Moturau Hut and we relaxed in the sun by the lake. The final day is another gentle 5-6 km walk along the shore of the lake through the forest and the track follows the river until a swing bridge takes you to Rainbow Reach. 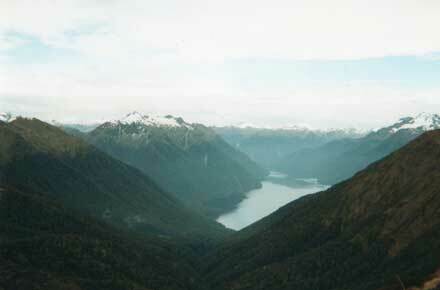 Overall the Kepler Track is a beautiful loop walk, but the climb up to Luxmore Hut is challenging. 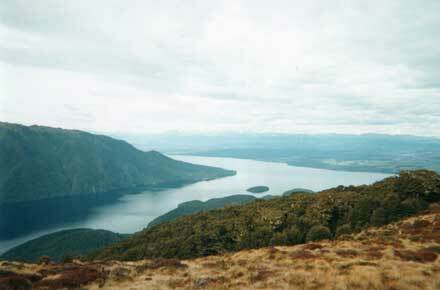 The second day is long (15km) with a gradual climb, followed by the at times steep descent to the Iris Burn Hut. But after that, the 3rd and 4th days are easy and gives your aching knees a rest. As always, the weather conditions should be respected - most of the major tracks (incl. 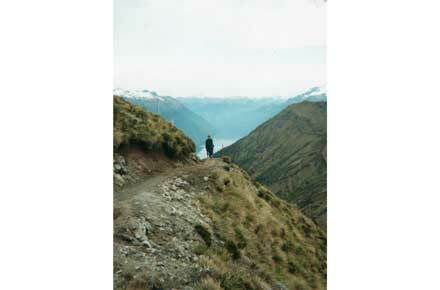 the Kepler, Routeburn and Milford) were closed due to poor conditions on the day we walked to Rainbow Reach.